When I switched from AT&T from Verizon and swapped my aging, battered, and bruised Nexus One for a DROID BIONIC, the possibility of buyer’s remorse was not on my mind. I was coming from AT&T - America’s single least reliable network in terms of dropped calls. So, I thought the last thing I’d end up doing was wishing I was back there. And now, at least part of me does. If you own a Verizon 4G LTE handset, you’ve probably experienced an issue exactly or approximately like this one: You put your phone in your pocket or let it sit overnight, take it out some time later or the next morning, and there’s no data connection. WARNING: We are not responsible for any destruction of data, phones, or small animals resulting from your use of these instructions. Utilize them at your own risk. If you brick your BIONIC, head to this link. OK, DROID BIONIC owners - I think it's finally safe-ish (well, as safe as it can be for the moment) to start tinkering with your phone a little. There's enough information out there now to reliably root, backup, and de-bloat your phone - with the ability to unbrick if you screw something up. Regardless, this is certainly a viable first chapter in the BIONIC's ROM development, and we look forward to the continuation of the saga. Did you recently do something horrible to your Droid Bionic? 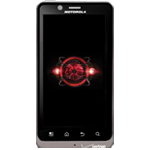 Tired of staring at that red Motorola logo? This freshly released recovery file will have your bionic running like new in no time. Interestingly, Motorola has changed the recovery file format from the tried and true SBF file to the XML based FXZ file. There's isn't a huge difference between the new and old file format, but according to Brief Mobile's head honcho, Kenneth Pennington, FXZ is "more transparent and customizable." So there's that. We may have already featured the Bionic for $180 from Amazon Wireless, but that deal only applies to new contracts, so existing VZW customers are left paying nearly full price. It's always hard to get a price break while using an upgrade, as the best deals are generally reserved for customers looking to switch carriers. However, Wirefly has a deal going right now where anyone can grab this LTE beast, for $175 (normally $250) by using coupon code BIONIC75, regardless of whether you're a new or existing customer. The only thing required for the APK to work is a set of headphone plugged into the phone to act as an antenna. 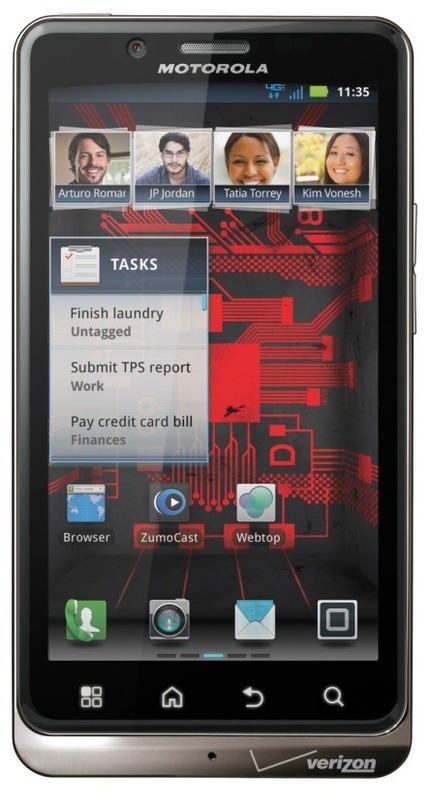 The DROID BIONIC has probably been the single most anticipated Android smartphone in the US. Since its unveiling at CES, subsequent total re-design, and sort-of-delayed release, it has been a long and winding road for Motorola's newest flagship handset. Verizon's massive marketing arm hasn't failed to promote this thing, either - walk into any Verizon store and you'll see employees garbed in BIONIC t-shirts, armed with BIONIC accessory display boxes and a tailor-made marketing spiel, ready to meet you with more LTE and dual-core madness than you can shake a stick at. With over 3800 entries from Facebook, Google+, and Twitter (in order of popularity), it's now time to conclude the 7th "special edition" giveaway and announce the winner of the brand new Droid Bionic, the lapdock, the HD docking station, and the Webtop adapter. Before I move on to the winner, selected at random, I'd like to thank Android Stack Exchange for providing the prizes and an excellent platform for asking and getting quick answers to all your Android questions. 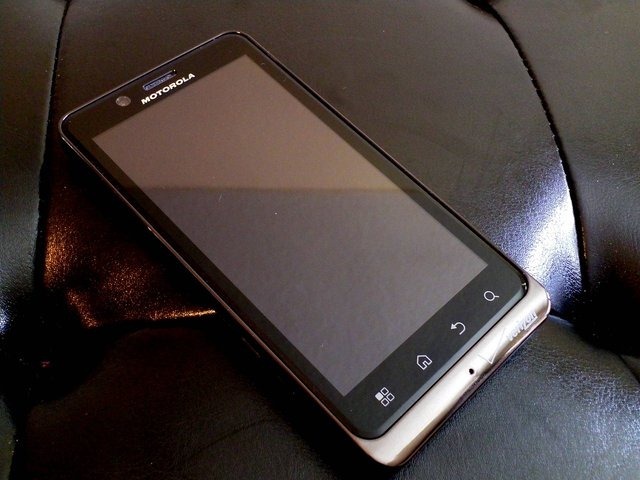 I've had the BIONIC just about 24 hours now, and that's enough time to draw a few, basic conclusions about the phone. It's not sufficient for a full review, obviously, but if you're itching to know more about how using the BIONIC is from an Android addict's perspective, you might want to check out my first impressions video. 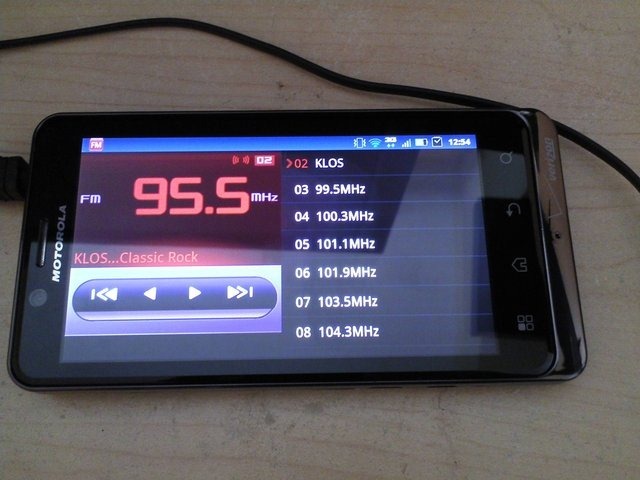 Basically, I discuss the phone's hand feel, display, performance, and a few other less noteworthy items. 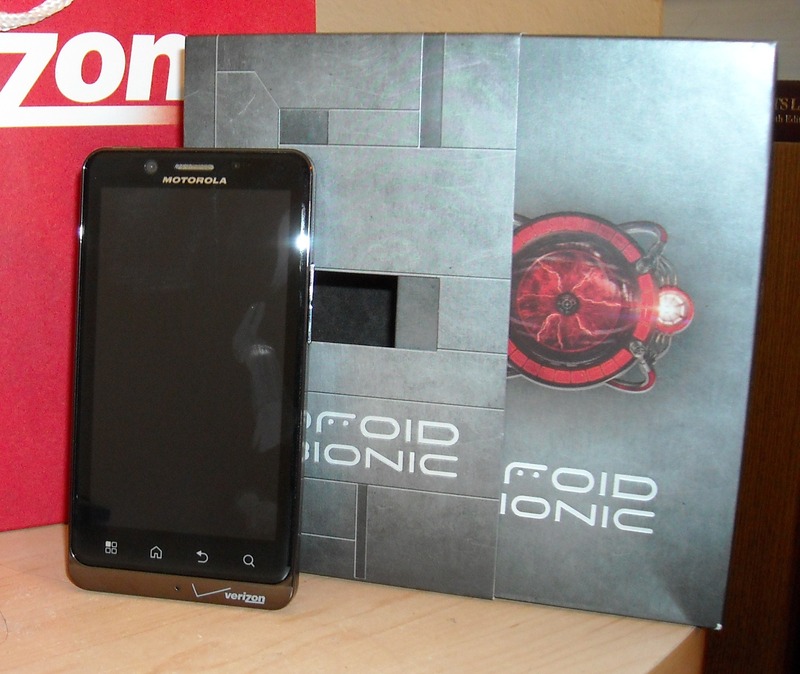 With Verizon's Droid Bionic page having just gone live, it is inevitable that deals will begin springing up. Well, the first one didn't take long. Update: The price just dropped even further by another $20 - to $179.99. Amazon is turning up the heat! Amazon Wireless is now offering the Bionic on a new 2-year contract for $199.99 $179.99. 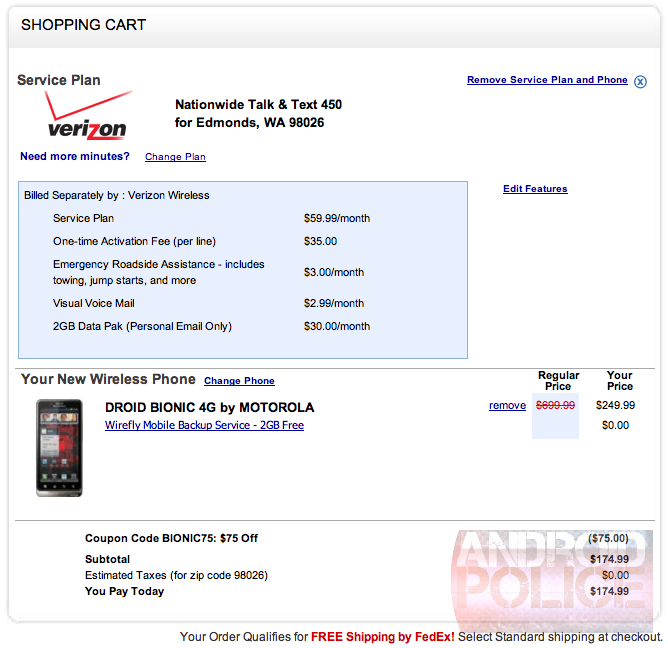 That's a cool $100 $120 off the price that Verizon is offering direct from their website.